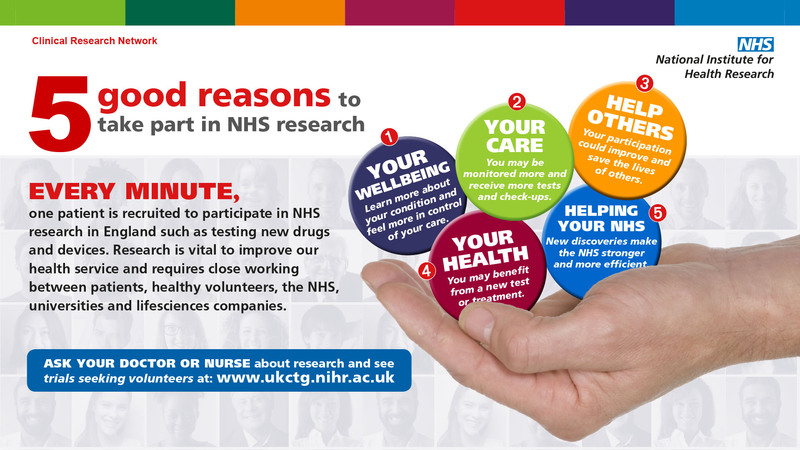 The Patient Research Ambassador Initiative is supported by NIHR Clinical Research Networks across the country. Patient Research Ambassadors (PRA) promote health research, sharing knowledge and experience from a patient point of view. If you are enthusiastic about health research and would like more information about becoming a PRA in the Yorkshire and Humber area then you can contact Evie Chandler to discuss. Evie supports research involvement as our locality’s Patient Public and Carer Involvement and Engagement Officer. You can also follow Evie on Twitter at @EviePPICRNyh.